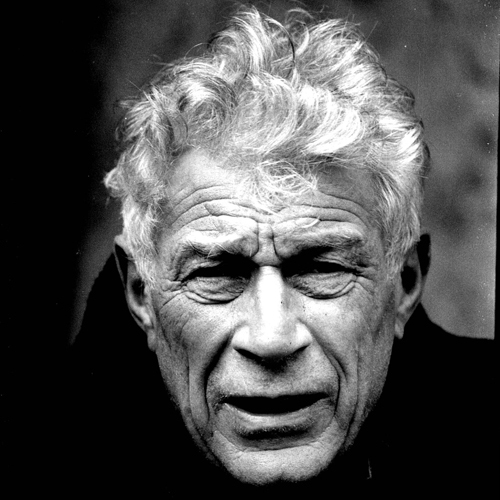 John Berger, who died on January 2, turned 90 in November last year. A Jar of Wild Flowers (Zed Books), a collection of essays written by his friends and artistic collaborators in celebration of Berger, and edited by Yasmin Gunaratnam and Amarjit Chandan, was published at the time — as a present to this singular poet, art critic, writer, filmmaker and humanist. The Con publishes Chandan’s essay on The Meaning of Berger from the collection. The Long White Thread (Smokestack Books), a collection of poetry written for Berger, was also released at around that time. This commemorative volume A Jar of Wild Flowers is a small gesture of love and gratitude for John Berger on his 90th birthday. It is an effort to present something of what Noam Chomsky described to me as Berger’s “marvellous and inspiring contributions over so many impressive years” in the fields of art, literature and culture and, as important, activism. He is the writer of our time. As a man and as a man of letters he is original, intense, and profound. He wants to be known as a storyteller. His writing – both poetry and prose – is the compass that points to the place where the heart of the matter is. It speaks with you. He thinks with feeling, to use Brecht’s expression. His writing is always an emotional journey both for him and the reader. Even his commas, his semicolons and his full stops are like stone engravings. There is something about Berger’s voice too – it sounds so compelling, so intimate; like the touch. There is a beautiful word in Sanskrit, Karuṇā, meaning compassion. This is the master key of Berger’s oeuvre, opening up three other central themes of his writing: home (destiny and return; displacement and rootedness, exile, refuge and the implied loss of language), love (for humans, animals, things, surroundings), and resistance (against tyranny). Berger has talked about the predicament of a pardesi — the Punjabi word for a foreigner — at length. There is no word in English that conveys the same pathos of being a foreigner (the being in/of/from another country) in the eyes of those left behind. Perhaps the word ‘distant’ commonly used in Punjabi folksongs comes close: ‘You went to a distant land; and you became distant’ — an outsider, a refugee, an alien, a lonely man. Every human is an island, and on that level we are on different planets speaking different languages – in the plain and metaphoric sense. Humanity is what connects readers with Berger. What is the source of his kind of humanity? Has it to do with something sacred in his writing? Once he remarked: ‘two things have coexisted within me. On the one hand a kind of materialism,which includes the Marxist view of history [‘Permanent Red’] and on the other a sense of the sacred [The Old Testament].’ This he saw “not as a duality, but an essential unity” Berger told Nicholas Wroe in a 2011 interview published in the Guardian. All writers deal with the abstract, and the absolute abstraction is none other than God, or you can call it by any other name. Maybe the ‘Sky’, as Berger has done in his several writings. Poetry is basically about thinking with feeling; and prose without feeling would sound hollow. This negates the false dichotomy created between prose and poetry. They are the same. Berger’s each word, punctuation and pause written on the page is a testimony to that. It touches the absolute; almost. Berger’s writing has influenced and inspired a whole range of creative minds all over the world. His writing works like that. His close friend and collaborator Mike Dibb told me that once in the mid 1970s Berger’s New Society essay about drawing his dead father inspired him to make a two-hour film Seeing Through Drawing, still possibly the longest arts film BBC2 has ever shown. There are many stories of how readers identify profoundly, body and soul, with Berger’s storytelling, whether it is the description of the topography of Budapest or prisoners in Italy or a peasant in the Punjab leaving home for vilãyat – foreign land – across the proverbial seven seas, or more recently his discourse on particle physics in Art, Poetry and Particle Physics, a film which Berger co-directed with Ken McMullen about the CERN laboratory in Geneva searching for that “Goddamn particle”. Do his readers find it liberating? Is the existential angst not further expanded with the extent of multiplied horizons? The answer is yes in both the cases. John Berger is our conscience keeper. In these days of growing turmoil and exploitation, he has turned to direct political writing “with a greater sense of urgency” he admits in Hold Everything Dear: Dispatches on Survival and Resistance. Now Language has been trafficked and usurped – the corporate bourgeoisie have stolen it from humanity. Each word Berger writes is reclaimed from tyranny. He expresses his pain but without despair, and he asserts, in a 2003 Le Monde Diplomatique essay, Written in the Night: The pain of living in the present, that there is spiritual value in it. An ‘I’ is turned into ‘We’ – the personal sees the horizon of a collective. When the book opens the Word is invoked. Thank you, John. Thank you. Chandan is a poet, essayist and translator. He was among ten British poets selected by Andrew Motion on National Poetry Day in 2001. English versions of his poems have appeared in various collections including Being Here (1995, 1999, 2005), Sonata for Four Hands (2010).